I serve as associate professor of psychology in the Department of Psychiatry at Harvard Medical School. At Boston Children’s Hospital (BCH), my duties include directing the APA accredited psychology internship and serving as associate director of the LEAH (Leadership Education in Adolescent Health) Training Program in the Division of Adolescent Medicine. I also act as a psychological consultant to the hospital Child Protection Team. I am an APA fellow and was the first African-American elected to the position of member-at-large on the APA Board of Directors. I served as president of the Society for the Psychology of Women (D35) and as a member of the Committee for the Advancement of Professional Practice (the Practice Directorate Board), the Council of Representatives (chairing the Women’s Caucus, the Public Interest Caucus, and the Education and Training Caucus), the Ethics Code Task Force, and the APA Finance Committee. In addition, I became the senior member of the Early Career Psychologist Task Force and chaired the APA Presidential Centering on Mentoring Task Force. For many years, I have felt concerned about the small number of research psychologists who are persons of color. 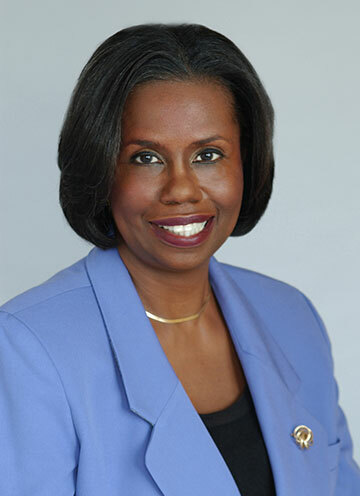 With a vision of a mentoring program for women of color, in 1999 I successfully competed for grant funds from the National Institutes of Health, the Kellogg Foundation and Harvard Medical School for the Next Generation Program, an ethnically based mentoring program aimed at early career women of color who indicated a commitment to careers in research on adolescents. Three of the participants have since won their own K Career Awards from NIH, one obtained a highly competitive R01 grant, one has earned a full professor rank, three are associate professors and two are employed at major policy-research institutions (Institute of Medicine and the Centers for Disease Control and Prevention). I helped found the APA Leadership Institute for Women in Psychology. In 2009, 2011, 2013 and 2015, I served as a faculty member of the Diversity Leadership Development Workshop, an initiative of Div.31 (State, Provincial and Territorial Psychological Association Affairs). My career has focused primarily on education, training and mentoring. My contributions as a mentor were recognized by Harvard Medical School in 1998 when I became the first woman, first person of color and first psychologist to earn the prestigious A. Clifford Barger Excellence in Mentoring Award. I have received mentoring awards from the America Psychological Association of Graduate Students (1999); Div. 45 (Society for the Study of Psychological Study of Ethnic Minority Issues, 2003 and 2014); and Div. 35 (Society for the Psychology of Women, 2006). Beginning in 2007, the latter award was re-named the Strickland-Daniel Mentoring Award. I also received the 2001 Distinguished Alumni Award from the University of Illinois at Urbana-Champaign, the 2002 APA Distinguished Award for Education and Training, and the 2008 APA Committee on Women in Psychology Distinguished Leader for Women in Psychology Award. I am a 2011 recipient of the Elizabeth Hurlock Trust Award which honors inspirational professors. Please describe your contributions to the Independent Practice of Psychology, including any positions held and committee work past and/or currently you have made to D42. My contributions fall primarily in two contexts: First, as a member and later chair of the Massachusetts Board of Registration of Psychologists. When I became chair, there was a large backlog of cases that needed processing by the Board. I reorganized the hearing process by appointing all board members as hearing officers. Both practitioners and the public benefitted from the accelerated pace of scheduling hearings and rendering decisions. Second, when I served on CAPP, I chaired of the Grants Sub-Committee. Grant submissions were primarily requests for funding to sustain SPT associations that were at fiscal risk of shutting down, to maintain the doctorate as the standard for licensure as a psychologist, and to respond to reimbursement practices from both private and public insurance carriers. In addition, I have practiced and directed an internship program for many years. What concrete measure(s) would you implement to address the financial and viability issues on behalf of the APAPO and practice constituents? Having previously chaired the CAPP Grants Sub-Committee, I have a keen awareness of CAPP contributions to insure that psychology has a visible and productive presence in all State, Provincial, and Territorial jurisdictions. The APAPO needs financial stability. Possible sources for an income stream would be new products and product endorsements, particularly in the technical arena. The development of technology products akin to the offerings of APA’s publication databases could generate substantial funds. This would require an investment, and while APA cannot give money to the APAPO, it could provide a loan to get this started. Another possible source could involve the Insurance Trust. In exchange for endorsements, APA netted $10 million dollars. Of that sum, APAPO received only a fraction. When that agreement comes up for renewal, APAPO could note that since the Trust customers are practitioners, a more substantial sum would be reasonable. A group with representatives from both the BOD and COR will be needed for this task. The Council Leadership Team has not addressed this role to date. Representatives from both the BOD and the COR will need to agree on what is meant by transparency—the what, how and when all need to be discussed and some level of agreement reached among the parties. This may require a decision on the authority delegated to the BOD by the COR, which is up for review next year. The key point is the current loss of trust and the need to restore it. COR voted to implement the results of the Good Governance Project on a trial basis. The full COR should evaluate the steps taken to date, assess whether to move ahead, and then, if necessary, how to move ahead. This should happen no later than the end of the 3 year evaluation in early 2017. Hoffman has already been re-engaged and his response is expected in June 2016. I believe retaining him to review his work may be problematic. We will need to carefully review the outcome. Final comment on the above three items: Forming COR monitoring groups may help to increase communication and trust that the best interests of APA are at the forefront of these endeavors. Currently, it would appear that the level of trust reflected in the COR membership needs to be the focus of all three areas of concerns. What do you see as additional vital area(s) facing the independent practice of psychology and do you plan to confront these areas during your presidency? My campaign focuses on promoting the concept of citizen psychologists. We have well qualified independent practitioners in all the SPTs. They have significant potential to alter how psychology is viewed and accepted in public life. I have repeatedly noted “Psychology is every day in every way.” Engaging participation by psychologists in their respective communities can educate the electorate about the importance of incorporating psychological science and practice into decisions about policies and programs at the local and national levels. By joining key boards and committees psychologists can have a powerful impact. I want our training programs (internships and post doc fellowships) to incorporate the importance of being citizen psychologists i.e. by using their knowledge as practitioners and researchers. Independent practices are an integral part of the fabric of psychology. Practitioners matter and we must help our colleagues become more effective advocates for psychology.